"Difficult to respond." 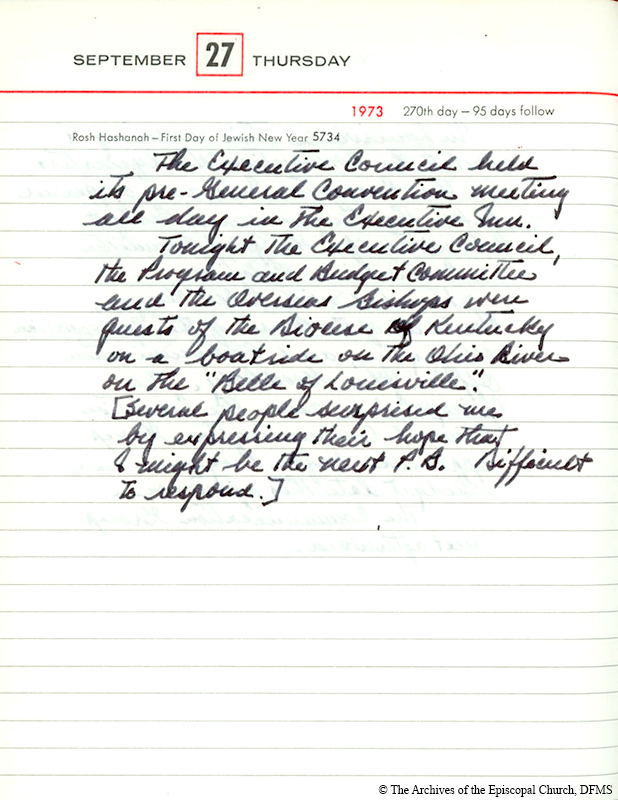 Allin's journal entry from September 27, 1973, one week before his election. Allin, John Maury, “Allin GC 1973 Journal Entry 1,” Venture In Ministry: John Maury Allin, accessed April 21, 2019, https://www.episcopalarchives.org/jma-presiding-bishop/items/show/152.